Rosary will be recited at 5 PM. Lunch to follow burial in Fr. Bart Hall. Francis Foley, Jr. was a loving husband and devoted father and grandfather, whose life was guided by an unwavering faith and a commitment to serving his family, his church and his community. Frank’s kindness and generosity touched many lives. The son of Francis and Margaret (Weber) Foley, Frank was born on June 30th, 1935 and was welcomed by big sister Marjorie (Marge). Raised in the faith, Frank graduated from St. Augustine High School, where he excelled in his studies. From there he went on to his beloved Notre Dame, majoring in Great Books. There, his faith deepened, as did his love of the ideas at the core of a classic Catholic education. 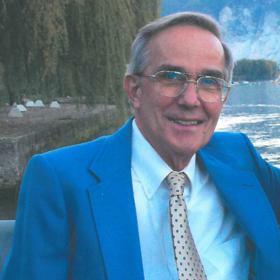 After graduating from Notre Dame in 1957, Frank later added an MBA from Western Michigan University. 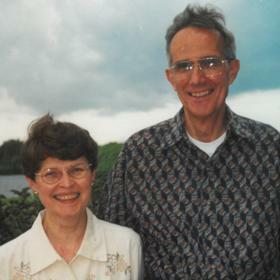 Frank started dating Patricia Conway in the summer of 1958 after he spent six weeks backpacking through Europe. 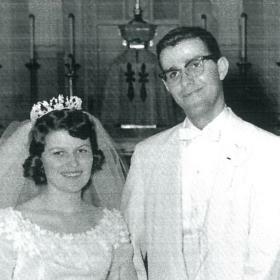 The couple married on April 23rd, 1960. Together, they welcomed three children: Chris, Steve, and Mary. There was nothing that Frank treasured more than his family. He was an active part of his children’s lives, and although he was a disciplinarian it was always done in a gentle way. 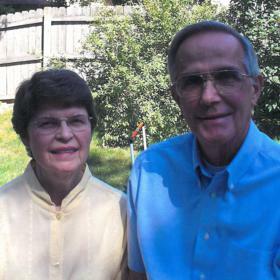 Frank regularly volunteered in various ways throughout his children’s school days as they attended local Catholic schools. He was always their strongest supporter in whatever they were doing. Every year they took a two week vacation as a family. Sometimes it was at Pat’s family cottage in Pentwater and other times they took a road trip somewhere a bit further away. It didn’t even matter where they went, it was all about having two weeks together as a family. Frank joined Plymouth Packaging in Battle Creek as general manager of the plant, working there until his retirement in 1997. His steady leadership was critical to the plant’s success, and his dedication was a model for those who worked with him.  His faith and family were at the center of his life, supporting him in times both good and challenging. He was very active in St. Mary’s Catholic Church as he served on the finance committee, parish council, and also as a Eucharistic minister over the years. In retirement, Frank had more time to spend doing the things he loved. He and Pat traveled to Europe, visited Rome, and took several trips to Ireland. What made their trips to Ireland even more special was that he and Pat took each of the grandchildren with them, sharing with them their love of this beautiful country. He even got to see his beloved Notre Dame Fighting Irish play Navy in a football game in Ireland. Frank and Pat also gave their children and grandchildren the gift of several memorable trips to Disney World. 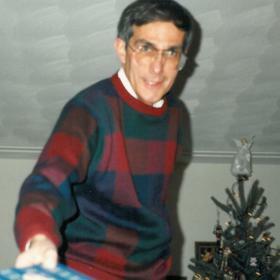 Frank loved spending time with his grandchildren, and he was part of their lives as often as he could be. He was there for all of their games, recitals, graduations, and other activities. He was a passionate Notre Dame fan, and he made many trips to South Bend for football games, basketball games and tailgating. Frank was also the secretary of the Notre Dame Club of Kalamazoo. He enjoyed reading and classic movies. With unending love for his family and friends, Francis Foley was a man of integrity who thought of others first and foremost. He was generous and also selfless in everything he did. Frank worked hard, but much of his hard work was done so he could give to others in various ways. He cherished his family, and he was so proud of his wife, children, and grandchildren. Life will never be the same without Frank here, but he leaves behind memories that his loved ones will forever hold near and dear to their hearts. Francis A. Foley Jr., of Kalamazoo, passed away on Thursday, October 4th, 2018. Frank’s family includes his wife Pat; 2 daughters, Chris (Kevin) Peartree of Rochester NY, Mary (Gerald Jr.) Foley-Wilson of Kalamazoo; 6 grandchildren, Caitlin and Emily Peartree, Gerry, Sean, Erin and Maggie Wilson, a sister: Marjorie Sherwood and many nieces and nephews. He was preceded in death by his son Steven A. Foley in 1995. Visit with family and friends on Sunday from 2-5pm at the Betzler Life Story Funeral Home, 6080 Stadium Drive; Kalamazoo (269) 375-2900 where a Rosary will be held at 5 pm. Mass of Christian Burial will be held on Monday at 11am at St. Mary’s Catholic Church, 939 Charlotte Ave. Burial will follow at Mt. Olivet Cemetery. Please visit Francis’ personal web page at www.BetzlerFuneralHome.com, where you can archive a favorite memory or photo and sign his online guestbook before coming to the funeral home. Memorial donations may be made to St. Mary’s Catholic Church.